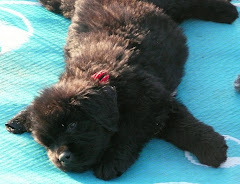 Look at our cool new blanket...our first official Newfie paraphernalia. It's a blanket from the upcoming National Specialty of the Newfoundland Club of America. 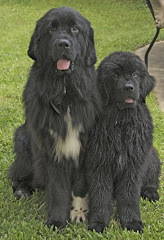 Hundreds of Newfies and their people will converge in Warwick, Rhode Island to celebrate the Newfoundland breed through competition and camaraderie.